Plastics are ubiquitous in today’s world. Water and beverages come in plastic bottles; a staggering variety of products are packaged in plastic; single-use plastic bags are used by retail stores; plastic fibers are found in many clothes and fabrics. Plastic pollution is a widespread problem with significant, negative impacts on our rivers and streams. The public is learning that plastic bags, straws and other plastic debris often ends up in our waterways where they continue to accumulate, threatening the ecology of our rivers and ultimately our oceans. Fish and marine animals mistake plastics in the water for food and can ingest them or choke to death. It is not just freshwater aquatic and marine life at risk. Recent studies have shown that our public drinking water supply is contaminated with “microplastics” – particles of plastic too small to be seen with the naked eye. 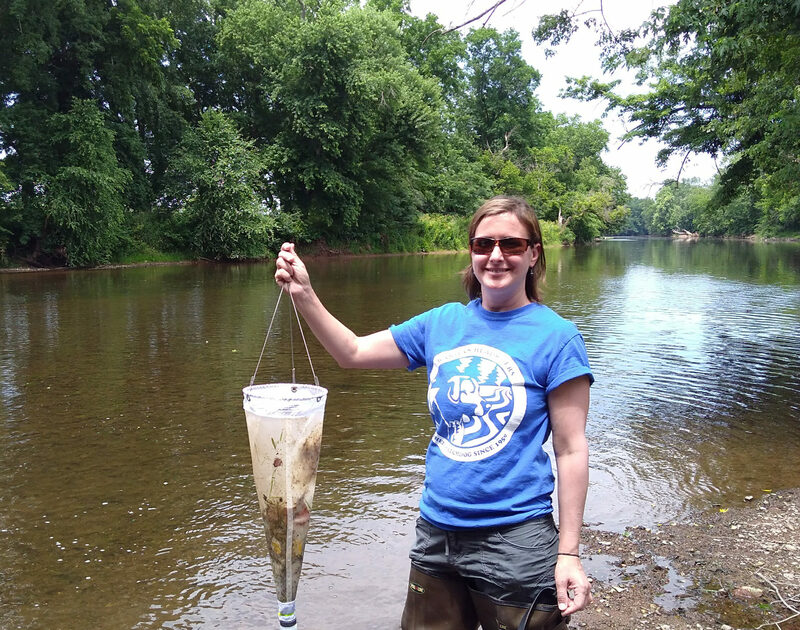 In June 2017, Raritan Headwaters Association launched a pilot study to determine potential sources of microplastic pollution on the South Branch Raritan River. We collected and analyzed water samples from 10 sites between Clinton and Branchburg, including four sites upstream of major wastewater treatment plants and four immediately downstream. Our study found significant amounts of microplastics at every site sampled indicating that even the more rural headwaters streams contain microplastics. We found that some wastewater treatment plants on the river are probably sources of microplastics in the river. The majority of microplastics in the water samples were degraded fragments of bags, wrappers and other plastic objects. We also found that microplastics are associated with other indicators of pollution including specific conductance and phosphates. The need for action is clear. The existence of microplastics at water treatment plants provides opportunities to target the removal of this pollutant from wastewater discharge. It also provides opportunities to educate families and businesses to decrease plastic waste. In addition, the study highlights the importance of programs like RHA’s annual stream cleanup in which over 1600 volunteers removed 13.3 tons of garbage, including 7,208 plastic bottles and 2,370 plastic bags, from 76 miles of streams in the Upper Raritan, thereby reducing the amount of plastics entering our rivers, drinking water and eventually Raritan Bay. Microplastics pose a direct threat to the health and safety of our water supplies. Raritan Headwaters is committed to monitoring water quality, informing and engaging the public in watershed protection and advocating for policies that reduce plastic pollution in water.